Leader of a Samaritan rebellion at Nablus in 530 against the Romans; son of Samaron or Sabarona or, according to another reading, Sahir. 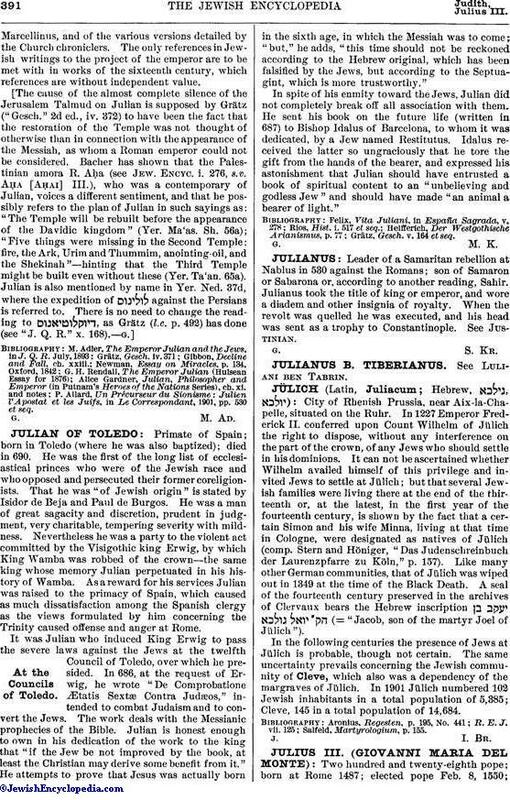 Julianus took the title of king or emperor, and wore a diadem and other insignia of royalty. When the revolt was quelled he was executed, and his head was sent as a trophy to Constantinople. See Justinian.